This time of year is the worst for health, I find. We’ve already have both children off school or nursery as they are poorly. The season change brings viruses and bugs and it seems that the kids are always he first to get them. And you can pretty much guarantee that if one person has something in the house, then we’ll see some side effects of it. I am generally pretty good at taking vitamins each day to make sure that I am getting the right things that I need. But I am not always as good at remembering with the kids or with my husband, I must admit. I have been trying out some supplements from Healthspan recently and thought I would share how we’ve been getting on. You can even win some for yourself at the bottom of the page! 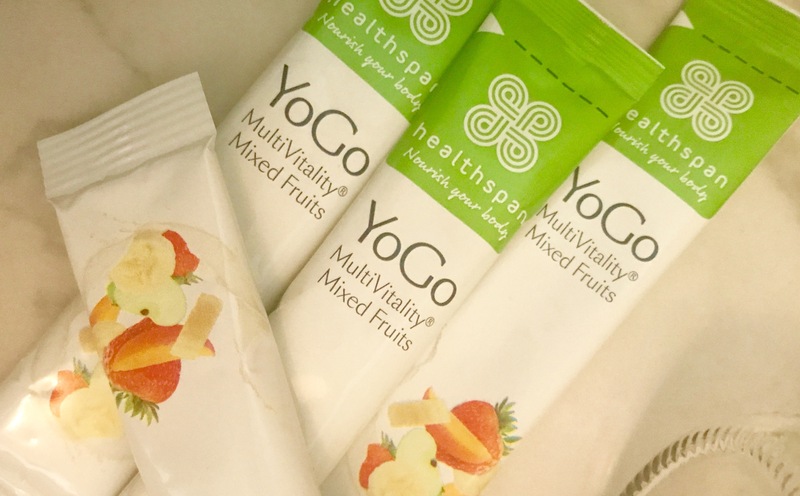 One of the supplements that I have been trying out is the YoGo. Which is a pack full of punches and a glass bottle. Then you fill the glass with milk (I used almond milk and it was totally fine), to make yourself your own mixed fruits-flavoured yogurt-style drink, with added vitamins and minerals. it was really tasty and a great addition each morning. I was so impressed that it has all of the vitamins and minerals that you need to help to keep you well and fill you with energy. I certainly felt the benefit of it and looked forward to having it with my breakfast each morning. I was impressed with the flavour too – it tasted really good. I also like that you can take it on the go. 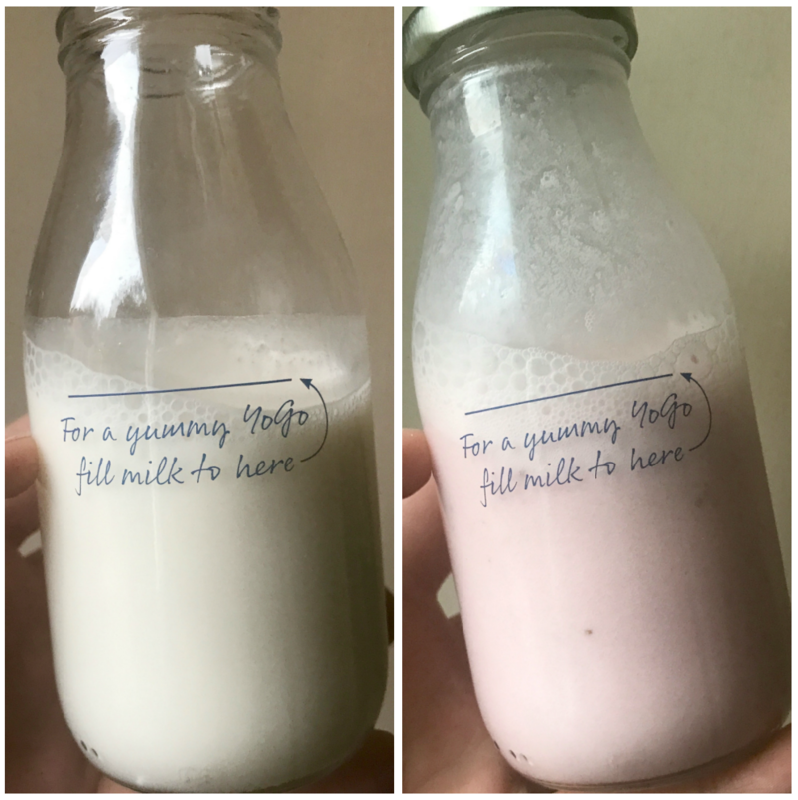 So if you are commuting, for example, you can take the bottle filled with your milk, and then add in the powder pouch when you’re ready to drink. A definite plus from me. If you like milkshakes, then I think you will enjoy the YoGo range. There are different flavours available, but it is good to know that you get to enjoy a nice yogurt-style drink for breakfast, and no you’ve had the vitamins and minerals that you need. Like the video, I like the peace of mind that giving my children a multivitamin gives. You know, regardless of what they may or may not eat at school, that they are getting a lot of the vitamins and minerals that they need. The teddy shape and bright colours made it attractive to my children and they would even ask to have them each morning. Got to be a good thing, right? We need to stock back up – they have been very popular in our house! If you would like to win 5 packs of the multivitamins and 5 packs of the YoGo, then you can enter win via the Rafflecopter form below. Good luck! You have until the end of the month to enter! Have you ever heard of healthspan before? Do you currently take supplements? Would love to hear what you think. 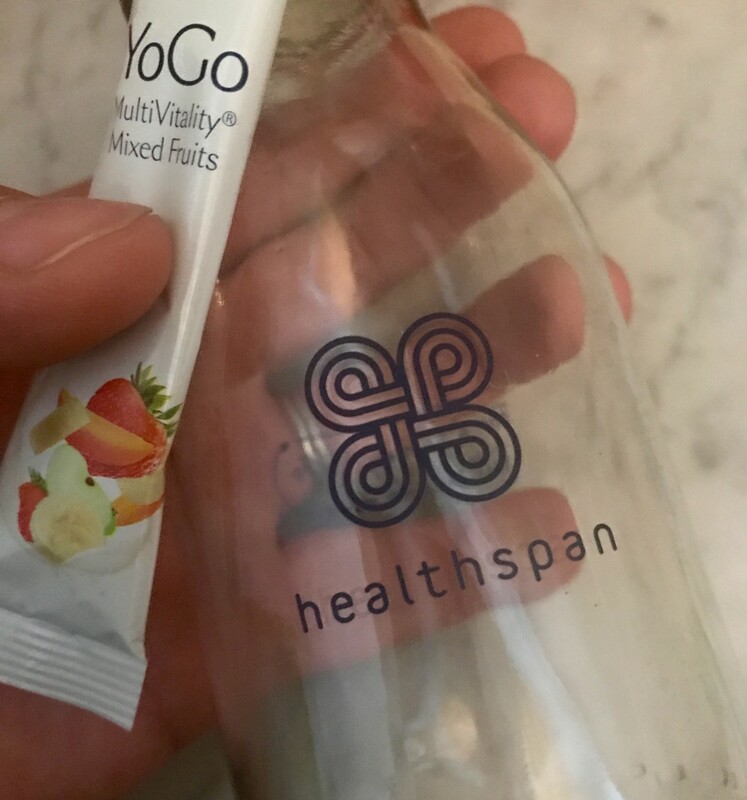 *thanks to healthspan for sending over the samples. All opinions are my own. The winner will be sent the supplements from healthspan. The closing date for entries is 11.59pm GMT on 30th November 2017. I always take a high dose of Vitamin D3 throughout the winter. making sure i still get plenty of excersise! A lot of walking and eat well. No caffeine also. Getting plenty of excercise and a daily multivitamin. Drinking lemon water too! i always take multivitamins,with a hot honey drink. brisk walks. also a good multivitamin. My favourite way to stay healthy is to eat lots of refreshing and crunchy fruit and veg! Can’t get enough! I love to make delicious soups and stews, perfect for keeping warm and getting nutrition! I also take Echinacea and garlic tablets, they really help stave away common colds! Make sure to wrap up warm when going out, and eat plenty of fresh fruit and veg. Lots of herbs, but D and probiotics. Lots of nutritious plant-based slow=cooked meals, veggie stews, curries and chilies. A good multi-vitamin to ensure optimum levels of vitamins and minerals. Keep active outside – fresh air really helps. I stay healthy in winter by taking vitamins. I try to keep a positive frame of mind and get into the Christmas spirit but my health is a priority so I keep to a routine and get plenty of early nights – and eat lots of fruit, veg and salads. I need good quality multi-vitamins/minerals to ensure I’m ‘sparkling’ so this prize would be very welcome! My younger one just caught a nasty cold over the weekend, and I had been wondering what to give him. We just use Multivit for them regularly through the year. YoGo looks like I should give it a go! Try to eat healthily and take a vitamin supplement through the winter. Keep warm both at home and outside too! For me it has to be taking vitamins daily and doing exercises at home too. Keep hydrated as the central heating can dry out your skin! Lots of swimming in indoor heated pools! I make sure to wash my hands often so that I can try and avoid people’s colds and flu. Vitamins, lip balm and the gym!! I wrap up warm and take my dogs out, come rain or shine. I keep up with my gym routine which keeps my immunity strong. I love a run when its a bit chilly – it keeps you cool once you’ve got going! I take Echinacea capsules and swear by them! I eat my weight in satsumas! Eating lots of fruit and veg, keeping active! Eating soup when hungry, otherwise it’s so easy to pick at not too healthy options. I take multivitamins every day and drink hot juice. I like to wrap up warm and go on long dog walks. We live near the Lake District so there are plenty of great walks / hikes and trails to keep us occupied. I take vitamin D and add a little oil in my bath as my skin really dries out. Wrap up warm and get out in the fresh air. Especially on sunny days.